Every cause needs a champion and our environment deserves the best. Especially in a society where over 65 % of the population have to live below the official minimum income subsistence threshold “ Environmental protection “ can be a very complex and abstract issue but as soon as we introduce a personal and human element we create a focal point for all to understand. 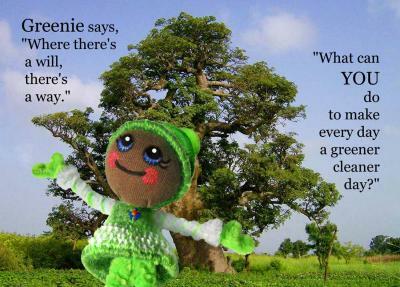 “ Greenie© “ is a staunch environmentalist, loves all things natural and especially trees. 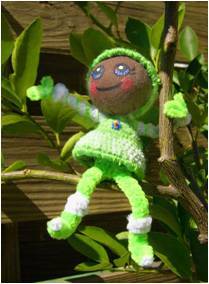 She lives in The Gambia and likes planting things, nursing them and watching them grow – her biggest horror are litter and waste in the environment and she is always happy and eager to explore new ways of re-using and re-cycling them and share her experience. Our plan is to join her in her adventures of helping to make The Gambia an even more beautiful place to live in and to visit. Her stories will be told in little 24 page pamphlets, showing her in real-life situation photographs accompanied by fun and educational copy-writing. The booklets will be published by PRSP in collaboration with her Artist creator, Caroczel, produced to a professional standard and will be a fun way to create environmental awareness for all age groups within the community. This type of stove has been developed and refined over the last 30 years. 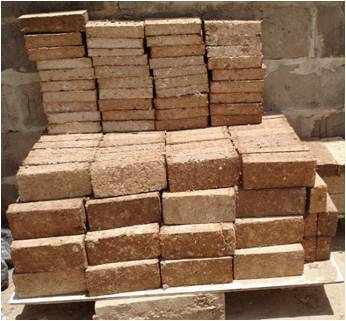 It is designed to use wood and other alternative bio-fuels in briquette format. This particular method of construction allows the harmful gases – which on a normal fire are seen as smoke – to be trapped and heated sufficiently to burn and create a secondary combustion. For the same amount of fuel we generate at least twice as much heat for cooking. 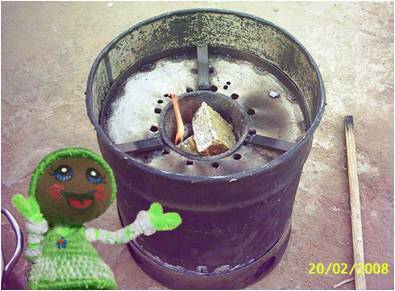 Add to that other design features in the stove – better air control, a “ skirt “ around the pot base – and we increase its efficiency by as much as 3 times. In effect we only need one third of the fuel in comparison to an open fire to achieve the same result. 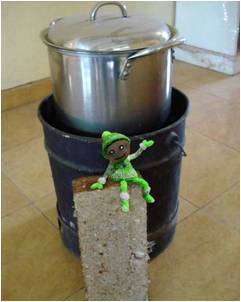 The stove will be custom designed for The Gambia’s conditions taking into account the maximum size of a standard domestic cooking pot and dietary requirements. It only comprises of 4 simple parts, its use is easy to learn and safe and it can be manufactured with tooling available on an industrial and local level from new or used steel and parts.